Financing has never been easier, more convenient, or more accessible. Katy Nissan places your financial interests and priorities first. We invite you, from the comfort of your own home, to fill out our finance application. It’s simple and quick, removing any hassle from the process and getting you the answer you need- fast. Katy Nissan is here to walk you through the process of financing from beginning to end. Our finance experts can help you understand your options when it comes to figuring out your APR, your monthly payments, and your qualifications. We work with lending institutions that offer a variety of financing options. Whether you’re a first-time buyer or a car-buying veteran, we can provide the information you need and the convenience you want with your car loan. For locals in the greater Katy area, we’re your all-encompassing Nissan car center. Call to make an appointment to learn more about the Nissan you want and to discuss your financial options. If your desire is to finance a Nissan in Katy, we’re here to help you investigate your options. Our associates know that when you come in to buy or lease a Nissan in Katy, you’re in it for the long haul. A car that’s new to you is an investment. We prioritize you and your investment. If it’s a lease, sale, or purchase, Katy Nissan wants to earn your business. Don’t hesitate to call us with any questions about the process of getting vehicle financing. We’re literally- and virtually- here for you. If you’d like to learn more or make an appointment with our financial professionals, give us a call at phone_sales=". 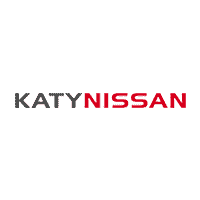 Katy Nissan is the local Nissan dealership you want to help inform your decision and make your automotive dream come true.